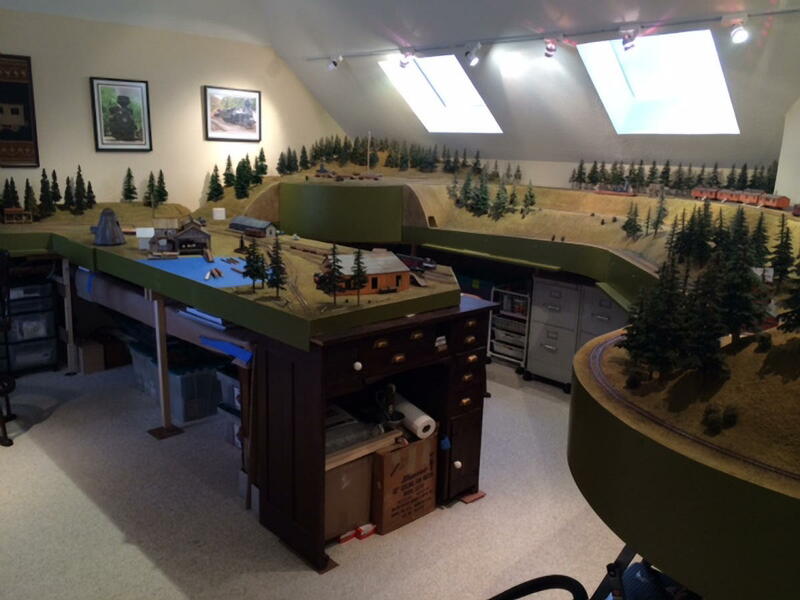 Bob Lydecker’s layout is an Sn3 logging operation, not yet named. 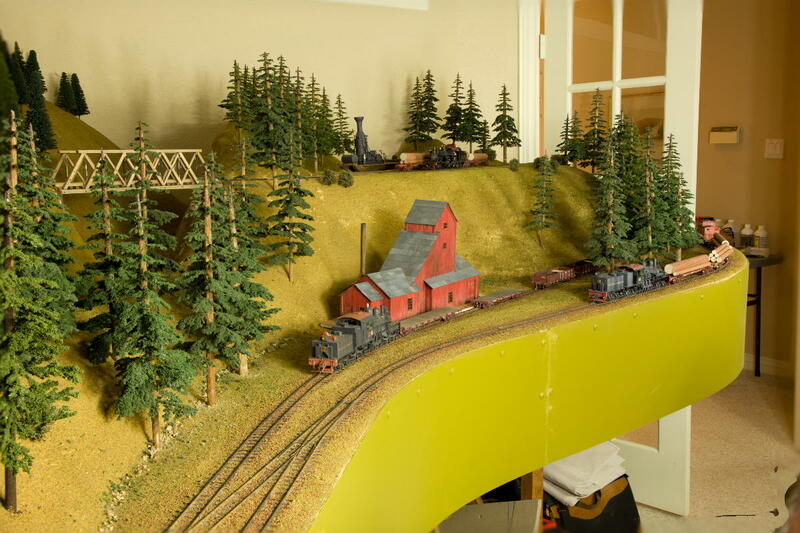 It features loading areas, transient logging camp, a small single band sawmill, engine facility and the company headquarters. 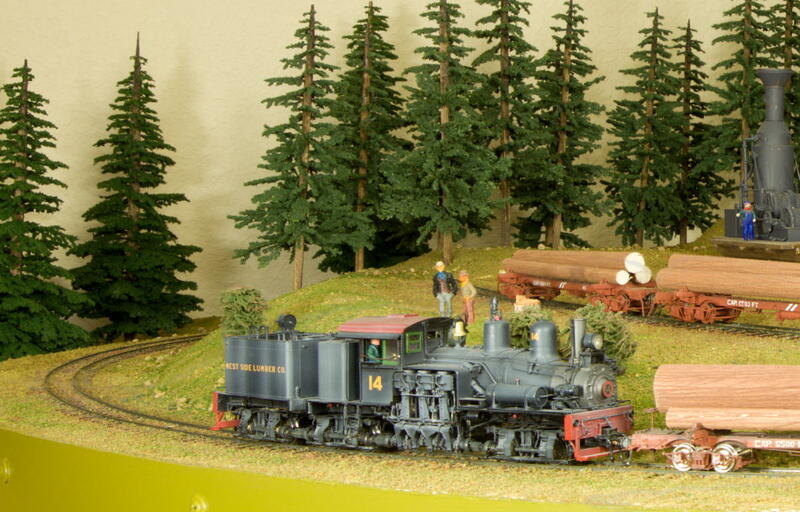 You will find familar equipment and logging operations. 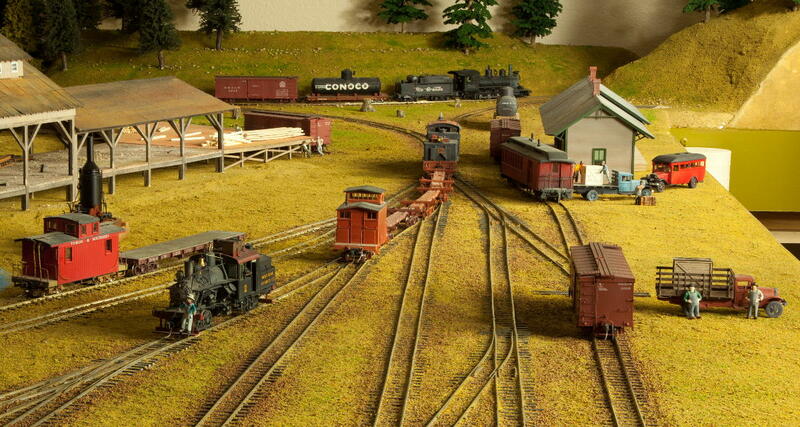 Logging trains are pulled by Shays, Heislers, and Climaxes (soon), while rod engines handle the connection to the Outside World. 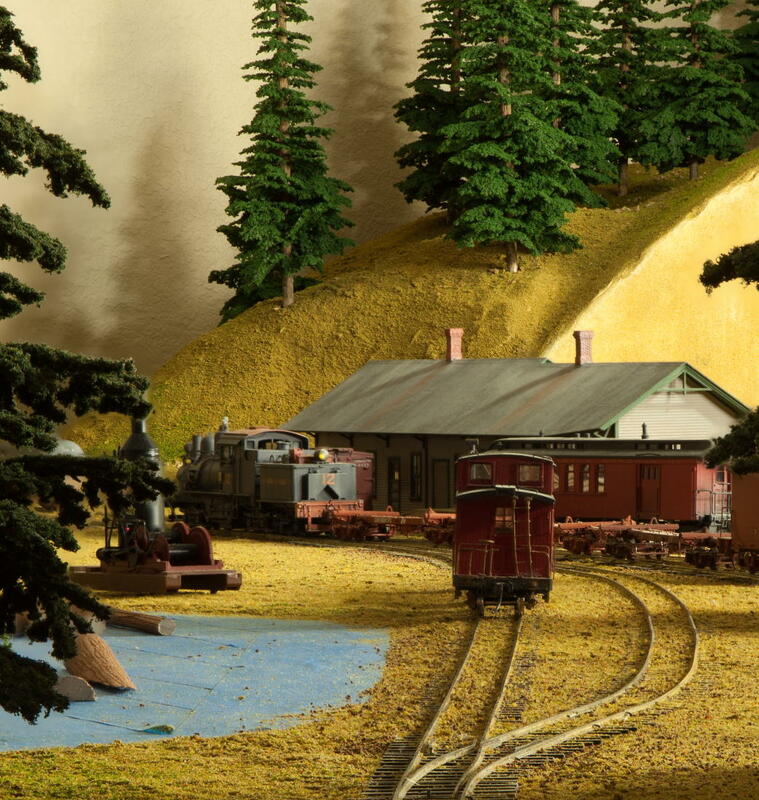 A very scenic'd railroad.